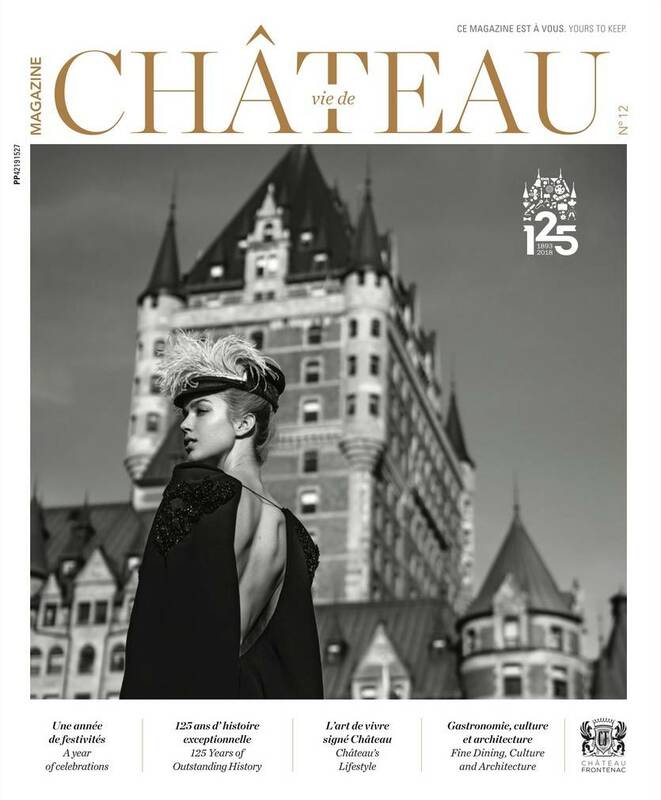 LUC.S boutique makes the cover of the official Fairmont Château Frontenac magazine with a unique creation by MIKAEL D: a crepe cape jumpsuit with crystal beaded bustier. Mikael Derderian, Lebanese designer graduate from LaSalle College, launched his couture line in 2012. His brand distinguishes itself by an amazing craftsmanship, combining lace and beading, creating fabulous bedazzling pieces. To keep in mind that Derderian dressed many celebrities such as Halle Berry, Mariah Carey, and Shakira for many galas and other famous events. LUC.S boutique is proud to have in consignment pieces from this exceptional designer and to support local talent. 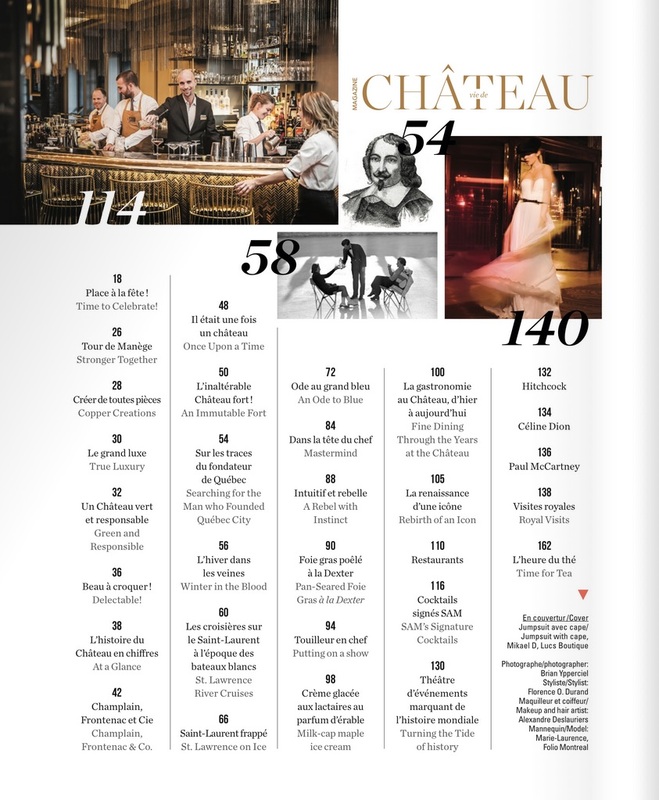 Credits to Florence O. Durand for the stylism.